This collection honours the stories about Old Man as Cree/white soldier, biologist, father, son and lover. Old Man assumes an extraordinary character as a trickster. He is mythic, enigmatic, and symbolic in his power to evoke energy within these poems. He talks about his time as a soldier in the Second World War and his life as a biologist in Saskatchewan. As he reminisces and begins to make sense of his life, he shimmies between his boundaries of white and native ways of knowing. The narrator and collector of these stories is Lover, who relates Old Man’s stories through a simultaneous connection between distance and intimacy, tenderness and violence, eroticism and earthiness. Vivian Hansen has published in genres of fiction, nonfiction, and poetry. 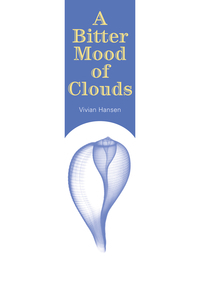 A Bitter Mood of Clouds was published by Frontenac House in 2013, a long poem that tells the story of Arne Petersen, who received gender reassignment in Denmark in 1953. Earlier work includes Angel Alley – the victims of Jack the Ripper and Never Call It Bird: the Melodies of AIDS (Passwords Enterprises) and Leylines of My Flesh (Touchwood 2002), which chronicles the immigration experience of Danish Canadians. Vivian’s essay ‘Hundedagene and the Foxtail Phenomena” appears in Coming Here, Being Here: A Canadian Migration Anthology (Guernica 2016) Vivian teaches creative writing at Mount Royal University and the University of Calgary, as well as the Alexandra Writers Centre. She is a member of The League of Canadian Poets, and The Writers Guild of Alberta. She holds an MFA in Creative Writing from the University of British Columbia.